Roberto Barletta's Italian origins are widely known. So is his nation's fondness for fine woods and all things beautiful, however lofty or trite that might sound. Yet I must reiterate it because blunt proof arrived very recently. On the other hand, de gustibus non est disputandum, therefore let's focus on concretes. Those show that some rather big changes are happening at Xavian - the beginning of something new not connected to employee reduction or similarly sad economic consequences. On the contrary, good things are on the table, all reason for Roberto Barletta to be proud no doubt. His new monitor lineup has quickly gathered press attention and very good reviews. Still, Xavian products have been considered by many, yours truly included, as somewhat DIY in terms of their looks in the past: nice yet a bit blunt and raw. 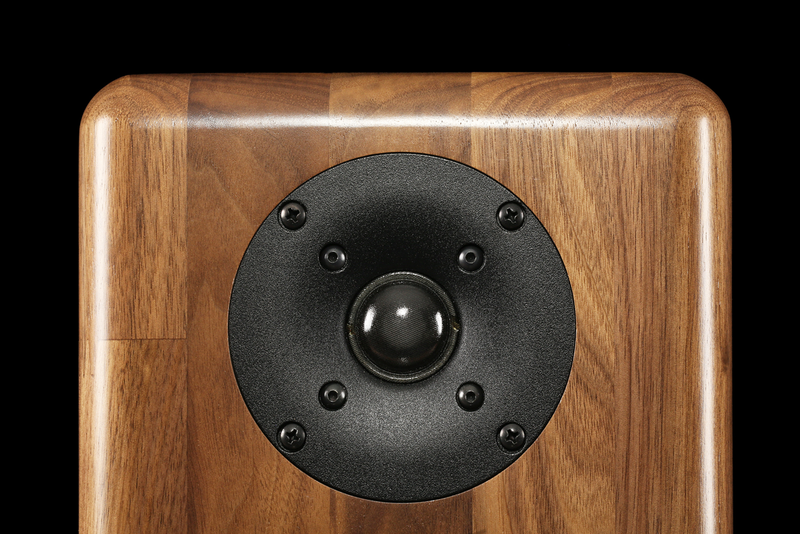 Nonetheless, deeper inspection showed each and every time that speakers from this Czech carpentry shop were well crafted solid products, with obvious attention to detail and that Italian spirit as well. Subjectively, Barletta's designs aren't everyone's cuppa on cosmetics. Yet denying his craftsmanship or design smarts would be unbecoming. Most people having at least one Xavian under their roof would probably agree. Just so, things are changing. Our Italian artisan has developed two new passive monitors in the also new Natura and Epica ranges. It wouldn't be much of a surprise if in the near future we'd see floorstanders, centers and matching subwoofers. This isn't any official announcement, mind you, just speculation. The Orfeo in the Epica series sits at the very top of the Xavian heap at €5'999/pr, with matching stands at €1'200. To get the Natura's Perla monitors and stands, one lays out €1'750 and €690 respectively. 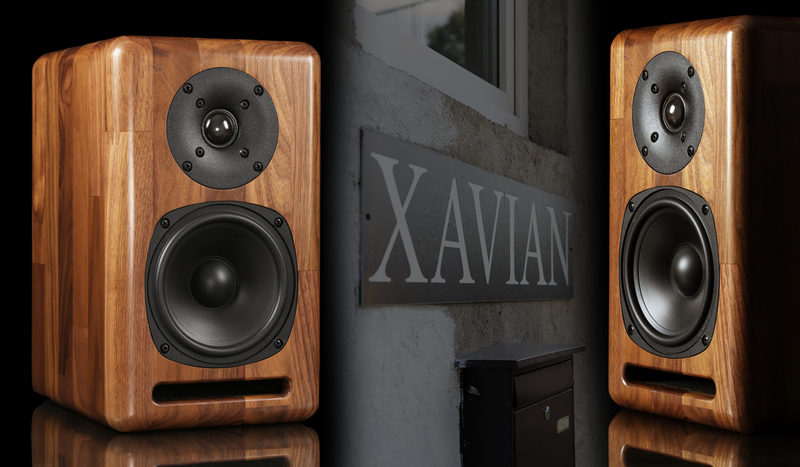 There are also the quite affordable Neox and even cheaper Dolce Musica lineups in Xavian's catalogue. Above them lives the XN series, with classics like the Piccola, Charisma or Virtuosa model. But since the Perla is today's main dish, only it will be brought to light. Before digging deeper into build quality, consult the pictures. Those surely say more about the product than a hefty wall o' words. These Czech are classical two-ways, therefore the entire bandwidth divides between just two driver units. That's nothing special. Neither is the task to visually disappear from the room. With compact monitors, that's usually the case. Yet some two-ways have certain requirements that must be met to show their full potential; namely a fairly large amount of space. At times this is a rather crucial condition. Therefore instead of disappearing, the product really becomes an eye catcher. Not the Perla. It was designed to remain mostly invisible in the vast majority of scenarios. In order to ground this in reality, several arguments will help. These are quite small, measuring 31.5 x 19 x 23.6cm HxWxD. Each weighs 6.9kg, easily felt in the hand like a proper dumbbell.